Expectations can be dangerous. 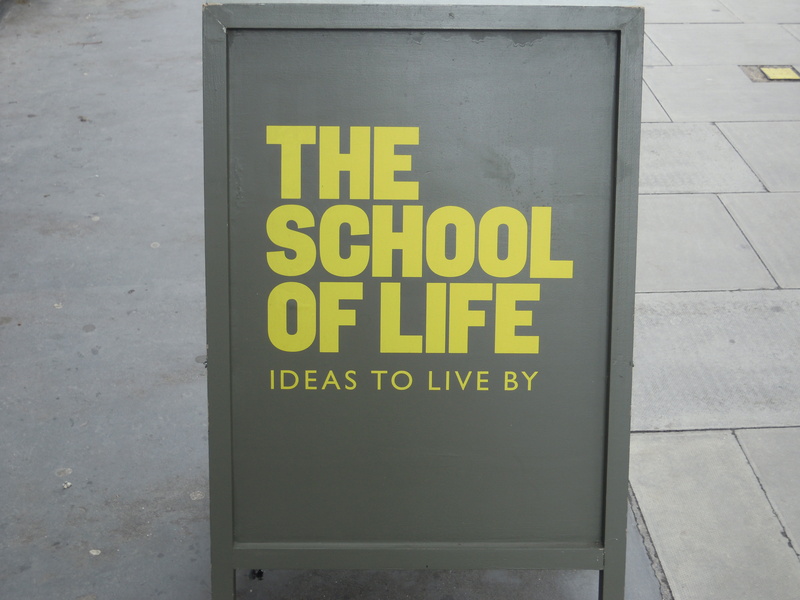 The narrow space that hosts The School of Life in London is very generous with Alain de Botton’s books but curiously stingy with ancient Greek philosophy – we should not feed expectations when it comes to shops. However, is well-known that when reality doesn’t matches expectations we get ready for compensations. 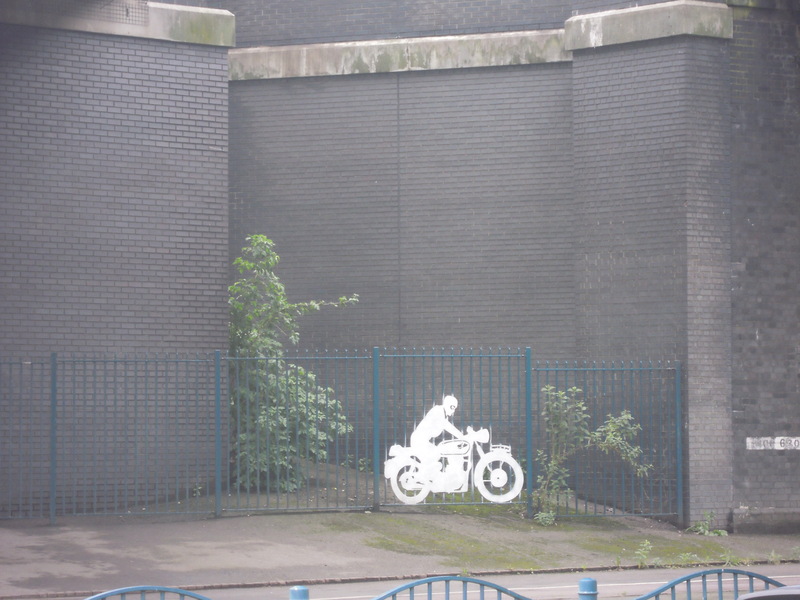 Therefore, as soon as London’s philosophy showed all his thinness, London’s bikerness immediately compensates. 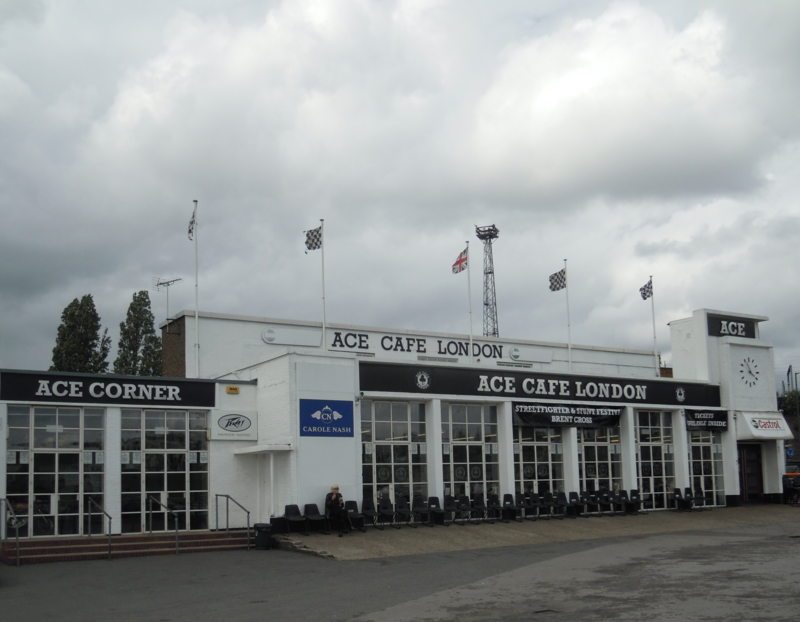 The fish ‘n chips served at Ace Café is not the main reason to stop here, but all the rest is the way you expect it, even on a bored and calm post public holiday wednesday afternoon. The absence of my 750 S from this picture is something difficult to stand. 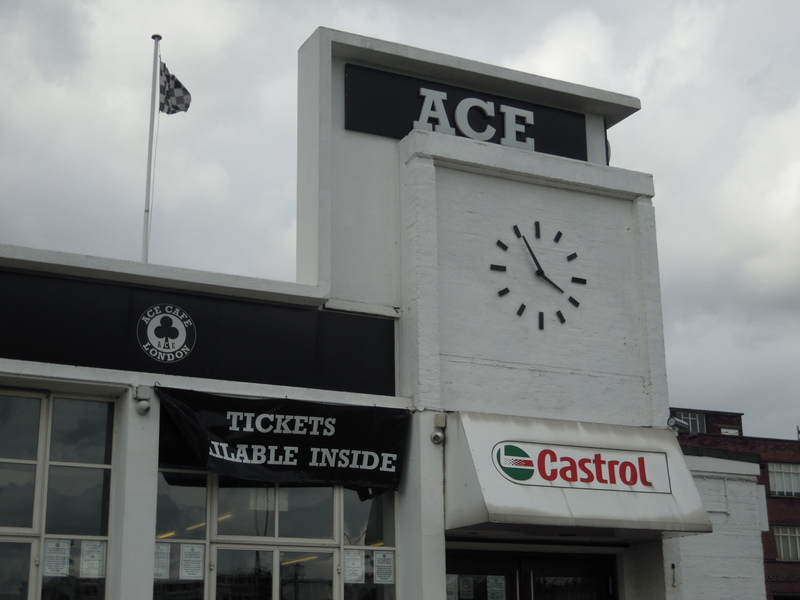 There is a strong catchword in this ’60s checkered black and white aesthetic. Even if we all know it is unauthentic, we believe in it. It probably belongs once again to the compensation process: if I can’t be a maudit hero on a ratbike for the rest of my life, I can wear his colors at least on a cloudy and lazy wednesday afternoon. 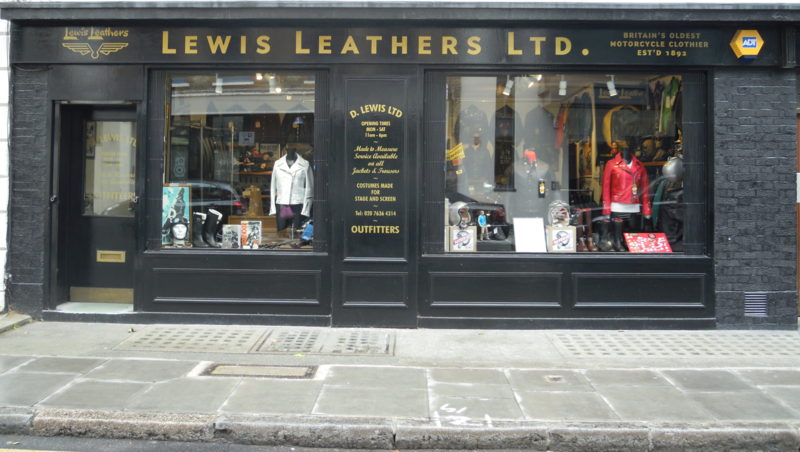 Talking about remarkable shops in London, we have to mention that Lewis Leathers and Aviakit are strong brand for leather jackets fans (and they have been for more than 100 years). Fortunately I’m a Vanson addicted, otherwise I would have spent some money on these classical jackets, gloves, shirts, boots (specially the boots are worthwhile). PS: anche il peggiore dei fish&chips è sempre e comunque un più che valido motivo per una sosta, ovunque …….